This article explains how you can contact Apple Support, if you face problems relating to its products and services. Depending on your locations, your support options and Apple warranties might differ. This warranty provides hardware and software support. Most Apple devices come with a 90 day complimentary technical support warranty and a one year limited, hardware warranty; unless you buy additional warranties. You can extent your warranty up to two years by purchasing AppleCare+. Furthermore, these warranties are in addition to rights provided by consumer law which may differ from countries to countries. Apple offers a support community and technical support forum. This forum provides answers through knowledge sharing. The forum is a great place to learn, share and troubleshoot. A lot of Apple users submit questions and answers. It is very busy. You can search other users posts or you can post your questions. 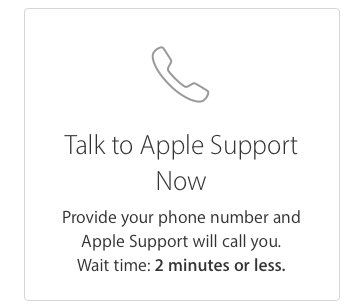 Apple also offers phone support. There are two ways to receive this type of support (1) you can call Apple (2) Apple can call you, if you start your support request online. You can view all phone numbers on Apple’s site. You can start a support request to receive a phone support. Basically you provide a phone number and Apple will call you. Note that you will need to enter your device’s serial number. Simply choose a product and then choose a topic and then select the phone support option. You can also schedule a phone call so that an Apple support technician will call you when it is convenient for you. 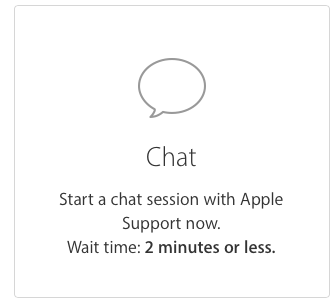 Apple also offer live chat support. Live chat can be a convenient option for you. Apple will email you the chat transcripts so that keep an archive of your chats which may come in handy if you experience the same problem again. This way, your questions will be answered instantly. Here is how you can chat with Apple experts online. 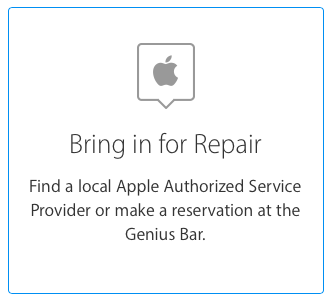 If you are having a hardware problem (e.g., your device is unresponsive, your Mac screen is cracked, your phone’s home button is not working etc), you can make a Genius Bar appointment. If your location is far from an Apple Store, you can make a reservation at an Apple Authorized Service provider. This article explains how you can make a Genius Bar appointment. These repairs may take up to nine days. You can easily check the status of your repair online. You can follow your case online also. If you are having a hardware problem and if you do not want to set up an appointment at an Apple Store or an Apple Authorized Service Provider; this is another option that you may want to try. Simply you contact Apple (you may use any options described in this article to contact Apple), request a box and mail your device to an Apple Repair Center. This option is available for most Apple products. You can get your questions answered via Twitter by simply tweeting your questions to @AppleSupport. 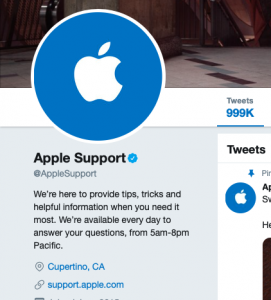 Apple Twitter support is available everyday from 5am to 8pm (PT). If you need Apple Store and iTunes billing supports (e.g., refunds etc), you can easily contact Apple. Simply choose your issue and select the support options available. Please note that you can cancel iTunes purchases and subscriptions easily. Please note that most issues can be resolved by just restarting your device. Also your issue may be temporary because some Apple servers might be down. You may want to check Apple System Status. Lastly, this is not a support request, but you can also send feedback to Apple. BPF on How to Turn Off Two-Factor Authentication?